This training plan is one of the 182+ Plans included with an Athlete’s Subscription. 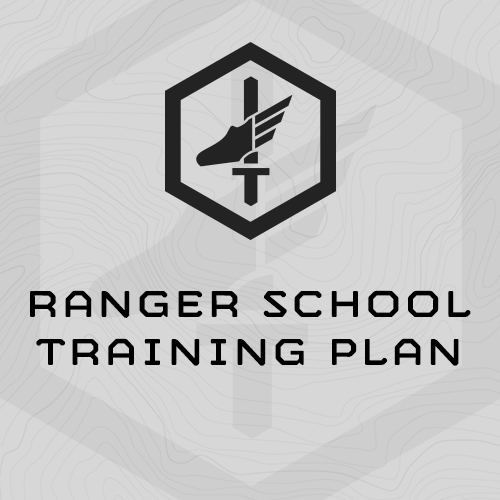 Intense, 6 week training program is specifically designed to prepare athletes for Ranger Assessment and Selection Program 1 & 2. The plan is designed to be completed the 6 weeks directly prior to your RASP start date. This is a 6 day/week training plan. 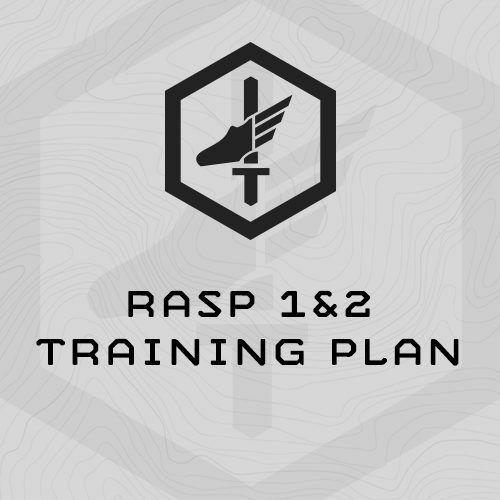 This training plan deploys initial and mid-cycle assessments (RASP PFT, 5-Mile Run, 250m Swim, 12-Mile ruck) and based your follow-on progressions on your initial assessment results. In this way the plan automatically “scales” to your incoming fitness and continues you push you as your fitness improves. What equipment is needed to complete this program? ALICE Ruck or same ruck you will use at selection, 35# of filler 10# Rubber rifle, sledgehammer, or dumbbell. What if I miss a day? Don’t skip ahead. Start where you left off. The plan is progressive, and its training sessions designed to be completed in order. What if I have less than 6 weeks before I start RASP? Still start at the beginning of this training plan anyway. Skip ahead to Week 6 (unload/taper week) the week directly before RASP. What if I can’t handle the training volume at first? Building stamina and resilience is a key training goal of this plan, and physical and mental stamina is also key to completing the Selection event. If you can’t handle the training volume at first, it’s better to cut training sessions short than to take unscheduled rest days. What if I can’t make the prescribed reps for the bodyweight exercises, or the prescribed interval times for the rucks, runs or step ups? Do your best, and be sure to do the total number of rounds, even if you can’t make the reps or the time. Don’t quit. See our Exercise Library HERE. The Run Calculator is listed as an exercise. Click the “Sample Training” tab to see the entire first week of programming. -10# Rubber rifle, sledgehammer, or dumbbell. (1) Swim 250m for time. (1) 4 Rounds, every 60 sec. Max reps Push-ups in 60 sec. (2) 4 Rounds, every 60 sec. Max reps Sit-ups in 60 sec. (3) 4 Rounds, every 90 sec. Max reps Chin-ups in 60 sec. Laser focused to maximize your performance on APFT events: push ups, sit ups and 2-mile Run. 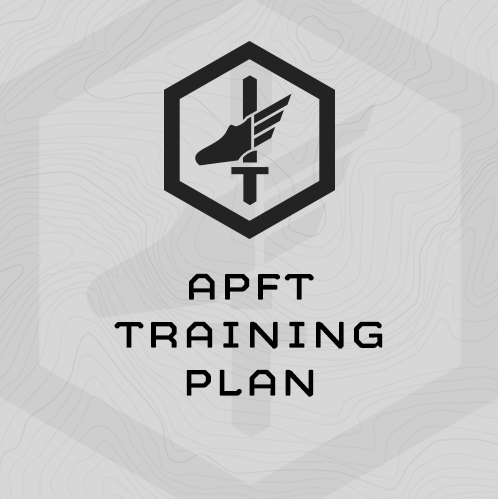 Plan is individually scaled so it can be reused before every APFT and always meet your fitness level. This is Version 6 of this training plan, updated April 2017. This training plan is one of the 200+ Plans included with an Athlete’s Subscription.